3rd of July at Instituto de Investigação e Inovação em Saúde, i3S - Porto. The V BiotechHealth Symposium will take place on the 3rd of July at Instituto de Investigação e Inovação em Saúde, i3S - Porto. 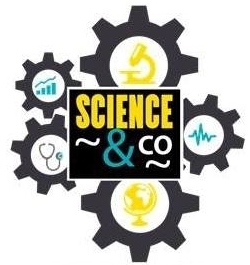 This year's Symposium is entitled "Science & Co.: Bridging the Gap" and aims to bring a new perspective, focusing on the entrepreneurial nature of the translatable science produced in the field of biotechnology. Different testimonials from academic researchers and collaborators of national and international companies will be brought; introducing emerging startups and what they do; exploring major differences between national and international realities of translational research; and discussing, in a round table, what should be done to help bridging the gap between scientific research and companies. The registration is free but the places are limited.